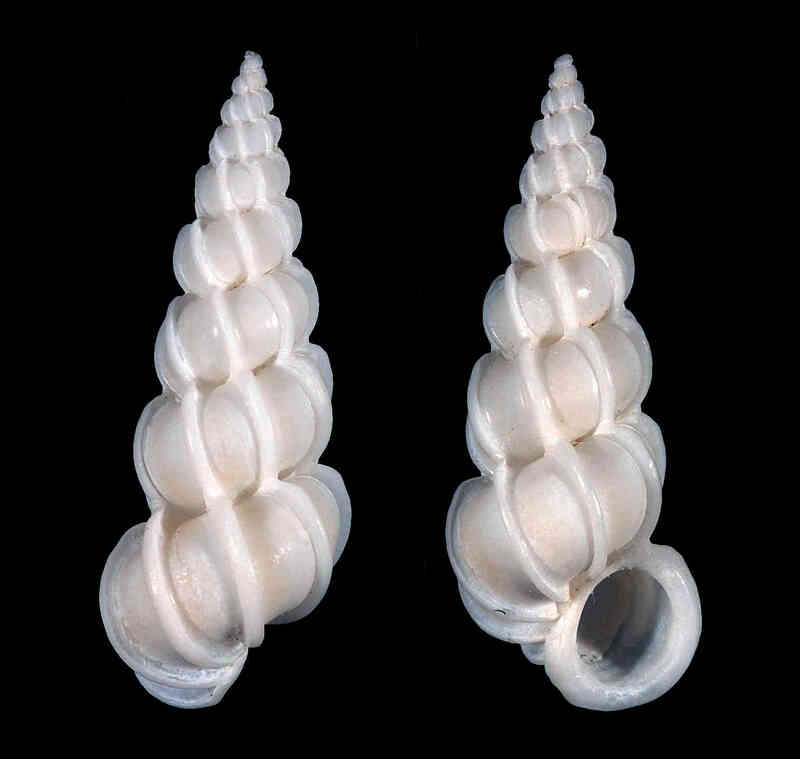 Shell size up to 14 mm; shell with eight to ten whorls. Sculpture of about 8-12 delicate costae per whorl. Costae round on top, lining up on successive whorls. Space between costae polished. Outer lip thickened, reflected. Color white, but first whorls pale amber. 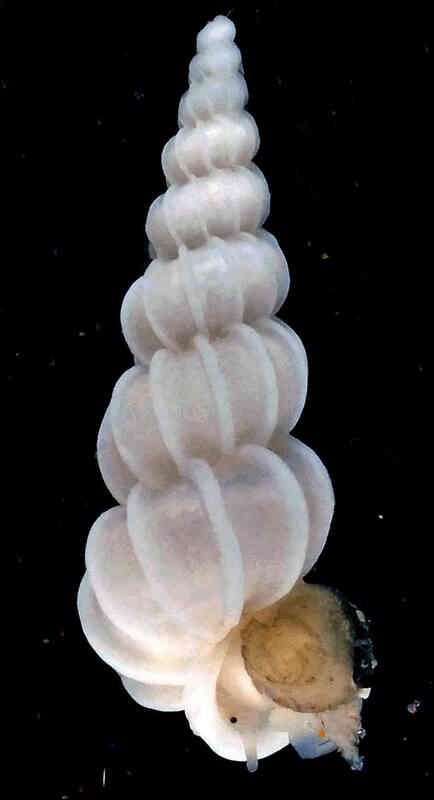 Live specimen collected by Rebecca Mensch on Sanibel on April 1st, 2015, and photographed by José H. Leal.